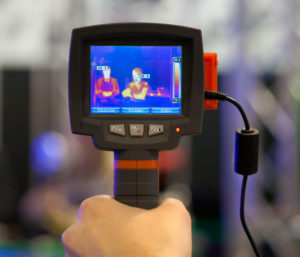 Innovation: In the frame of their joint laboratory DEFIR, EARTO-member CEA and its spin-off Sofradir, have developed infrared detectors that function at higher temperatures, thereby reducing both their size and power consumption. This advance was achieved without compromising the detectors’ image quality and performance, making it easier to integrate them into systems such as drones or satellites. Impact delivered: The technology has been transferred to Sofradir for industrial production. This innovation is opening the way to many new industrial applications to identify toxic or poisonous materials – such as gas molecules – from kilometres away or assess food quality or photovoltaic panels during industrial process controls. A significant percentage of Sofradir new detectors incorporates this innovative technology. The DEFIR technologies are protected by more than 55 patents. CEA is a French government-funded RTO and a leading contributor to the European Research Area. Sofradir is the world leader in high-performance infrared imaging solutions for military, space and industrial markets.